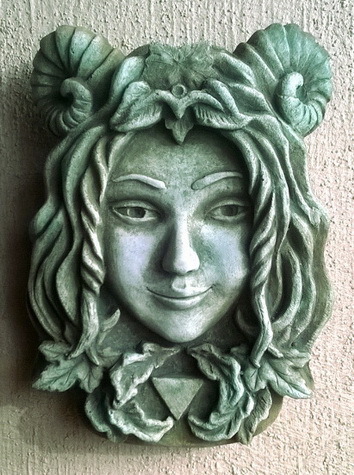 Terra (earth) – "Fine sculpture for every environment"
"Fine sculpture for every environment"
From greenmen to gargoyles to angels, Stonecraft Arts has a fine selection of mystical and ethereal artwork suitable for your home or garden. All of our pieces are hand-crafted original designs, not replicas. They are cast out of a light weight architectural concrete that is 20% lighter than regular concrete, is stronger and more chip resistant, and contains special freeze retardants to help keep pieces from cracking in colder climates. All colors are achieved using integrated concrete dyes, so the colors are completely weather proof.